Once opened to the maximum you will be looking at a gaping hole, thinking how did that little speculum do that. The speculum is a short dumpy speculum that opens wide, using 2 methods of opening. It hinges from the rear of the speculum making this another type of speculum that opens up into the cavity, holding itself in place as it is opened. This makes life alot easier leaving you hands free. Once inserted and opened and held nicely in place its time to stretch the opening a little at a time, simply by turning the dial at the bottom of the speculum it is opened wider. 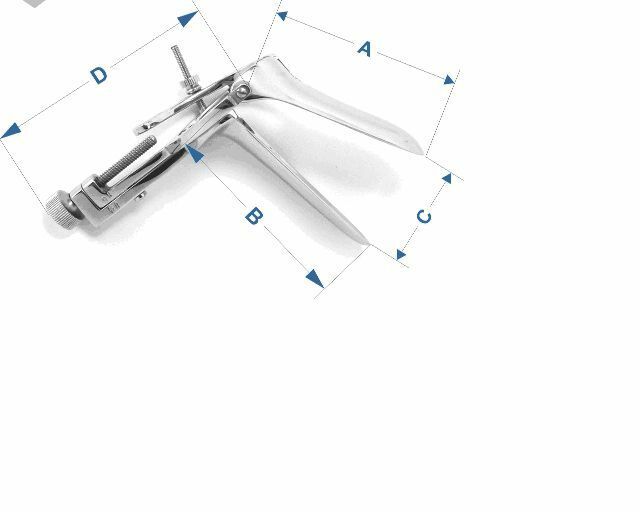 with special screw and Form, its easy to rotat the speculum .